Upgrade your meeting space and create the right impression for your company with stylish, functional and comfortable meeting room chairs and furniture from Office Kit. These stackable cantilever chairs are practical and comfortable. Stack them away for an absolute space-saving solution. Ideal for the boardroom, the meeting room, the seminar and even public waiting areas, canteens and schools, these popular chairs are favourites in both public and private sector environments. 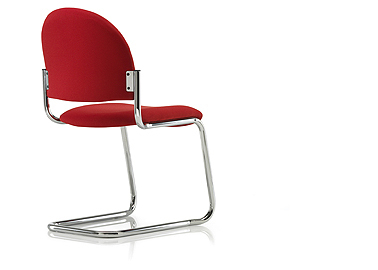 Shop the ICO1 chair here. 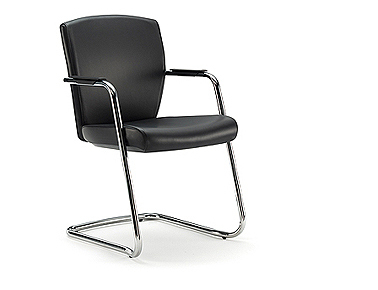 This black stackable design is a super stylish with a squared off back, leather upholstery and modern silver cantilever frame. Featuring sleek arm rests, these stackable meeting room chairs are the perfect addition to your meeting room space. Shop the K32KIT chair here. Ideal for the modern boardroom, these wooden shell chairs feature a walnut outer shell, lime green upholstered inner shell and a polished aluminium 4 star base. 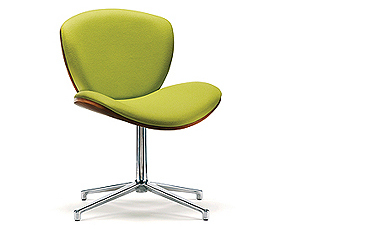 For a showstopping meeting room, this chair is the perfect style for you. Shop the S4KIT chair here. For an ultra modern addition to your meeting space, or if you simply want to incorporate a collaborative space into your office, our unique diner style meeting booths are the ideal solution. Presented in lime and charcoal, this ultra modern unit could be just what your workspace needs. Shop the Meeting booth here. For more Meeting Room Furniture inspiration, click here. View our complete range of NEW Meeting and Boardroom tables here and our range of chairs here. Not quite what you’re looking for? We have NEW stock coming in everyday so please call us on 01329 822522 and tell us what you’re looking for.